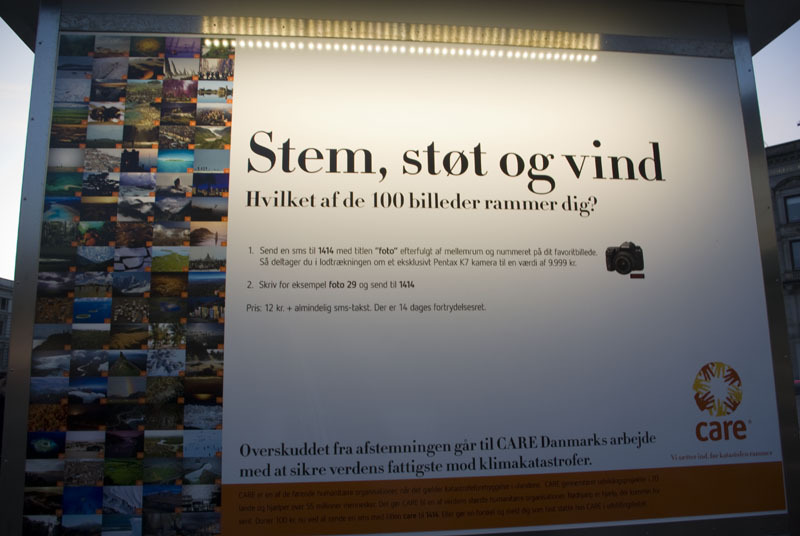 I was in Copenhagen this weekend and took a snapshot of this, it's an exihbition of 100 photographies about global warming I think. It was pretty, cool. Some nice pictures. Worth seeing if you haven't been there and best of all, you can win a Pentax K-7!